The Fife distillery began its first mash earlier this week, and will later today perform its first spirit cut in a live-streamed event on Facebook (at 2pm GMT). While the bulk of its lightly-peated spirit will be laid down to mature in ex-Bourbon American oak casks to become whisky in three years’ time, Lindores Abbey will bottle a proportion as aqua vitae – a spirit flavoured with herbs and spices. Initially available exclusively at the distillery, Lindores Abbey Aqua Vitae will feature botanicals that would have grown on the historic site in the late 15th century, and will eventually include fruit and honey produced at the distillery’s beehives and orchards. Lindores Abbey is often associated with the first written reference to distillation in Scotland, a note in the 1494 Exchequer Rolls that by order of King James IV, ‘eight bols malt’ be supplied to Friar John Cor to produce ‘aqua vitae’ – the water of life. As Cor resided for a time at Lindores Abbey, the Newburgh ruin has become regarded as a significant landmark in Scotch whisky history. 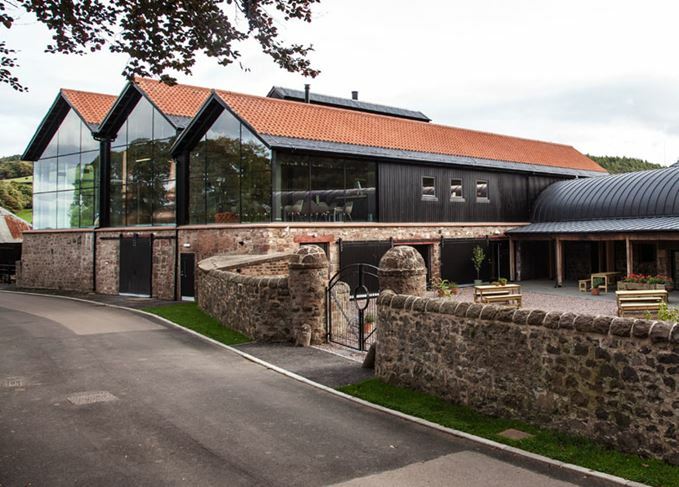 The distillery, which opened to the public in October, features a visitor centre and café, as well as ‘apothecary room’ where visitors have the opportunity to create their own aqua vitae. Following the first distillation, owners Drew and Helen McKenzie Smith will offer a select number of single malt casks for private ownership, while membership to the Lindores Abbey Distillery Preservation Society is also available. Discover more about Lindores Abbey distillery, including its whisky and visitor centre opening times.